It has always been our mission to provide an exclusive and unique wilderness experience, with minimal ecological impact on our surroundings. We were very proud to feature as one of the top 36 Authentic Ecolodges worldwide chosen for a book written by Hitesh Mehta. 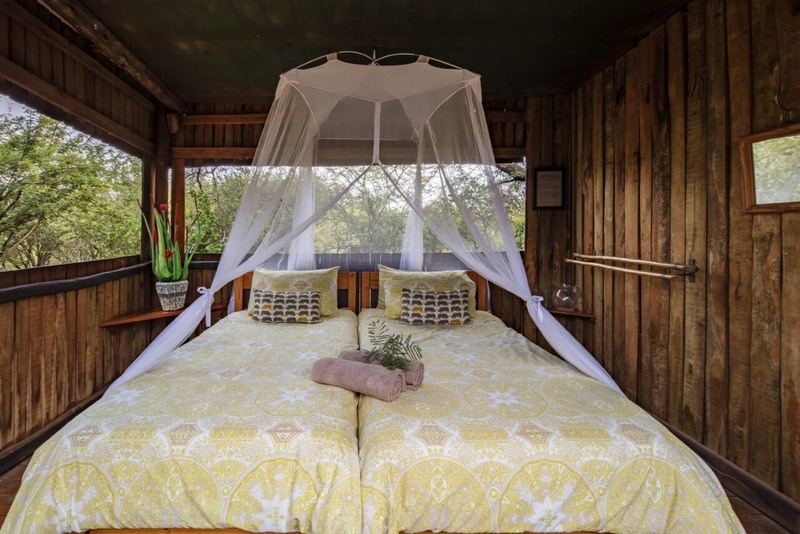 In order to ensure each guest our best possible attention, we accommodate a maximum of 16 people in true safari style in ten raised wooden cabins set amongst the natural vegetation around a central camp fire and lapa area. Cabins have partly open sides and are arranged in adjoining or detached double rooms with twin beds and simple amenities. 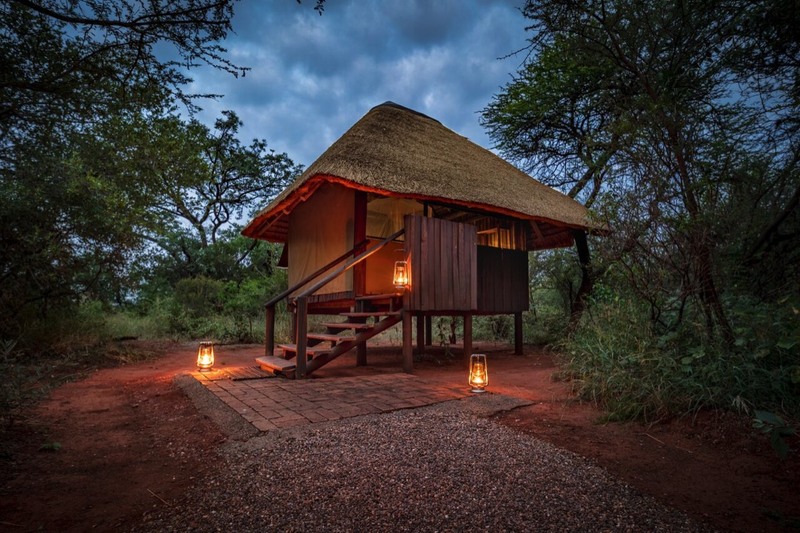 We pride ourselves in our bushveld simplicity and do not have mod cons such as electrical power or running water - our showers are safari showers and water is heated through a donkey boiler … so you only have a cold shower if you want one! 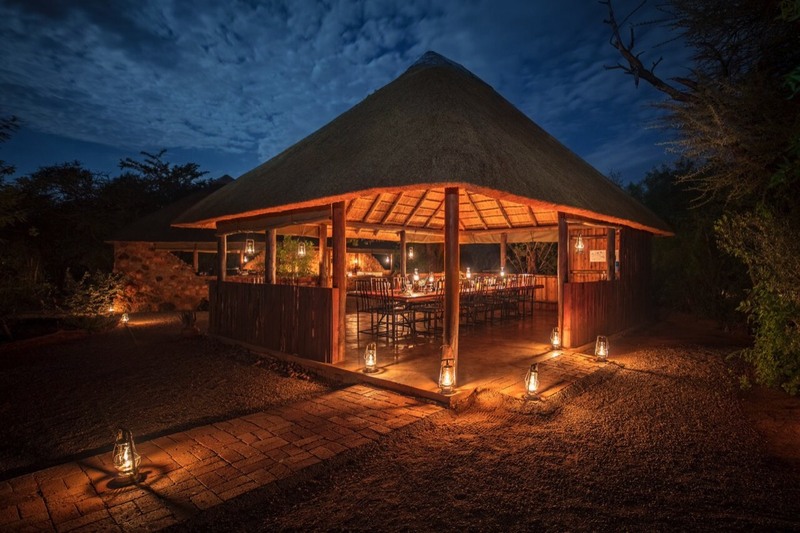 We believe our catering is of a high standard – we prepare all meals in the traditional bush style on the open fire. "We don't stop for impala..."
The title quotes Ranger Justice, our expert guide for our time in Madikwe. Of course, you will see impala, each and every day, along with guinea fowl all over. But there will be so much more, such indescribable diversity and variety. We stayed for one week. Even though we saw the entire "Magnificent Seven" in the first two days, our week at Mosetlha was not too long and indeed, we were teary-eyed upon our departure. Every drive, we had an incredible experience different from previous drives (we had a total of 14 drives). I had a chance to talk to Chris, the founder, and he was a fount of information on all aspects of wildlife and conservation and a truly charming and engaging man. And of course, we will never forget Monika, the finest Operations Manager in all of South Africa. She welcomed us to Mosetlha and made us feel safe, comfortable, and at home. This was our first time at Mosetlha but I doubt it will be our last. We were changed, profoundly affected, by our time here, by the experiences we had, the fellow travelers we met, the staff who ran everything seamlessly behind the scenes while we were out on drives, the endless delicious foods (I was able to eat six times per day, so please disregard any previous comments about food scarcity). A note on accommodations: You will not be "roughing it" here. We were comfortable at all times, slept great on excellent beds, overate at every meal, had every question or need met, and had our drives in superb Land Rovers maintained to a very high standard. 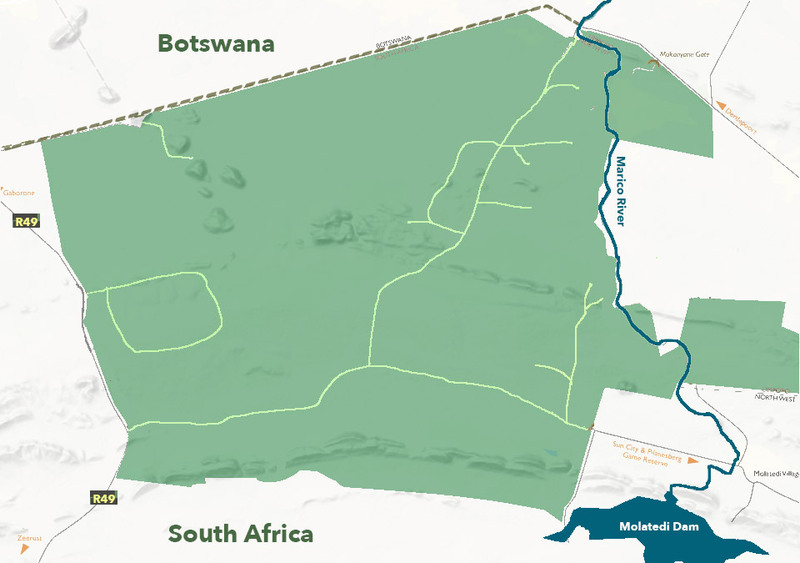 You could pay much more to stay in Madikwe, but why? Here you will have the finest guides/rangers driving the same roads in the same places. My husband and I stayed here for 3 nights in November and had such a lovely time. It felt like the rush of normal life paused the moment we arrived and were greeted by Caroline. We became officially unplugged from the world - no internet, no TV, no news, no phone, no distractions. It was wonderful to be able to just relax, create memories and admire the show the local wildlife put on. The atmosphere in the bush camp really encourages this. The camp is away from the other lodges so it really feels like there is nobody else nearby. The room was comfortable and open sided - hearing the animals roam outside at night was an experience! And if you don't want to spend time in your room during the day, there are hammocks around camp to relax in. There's also a great sense of camaraderie with the set up - delicious communal meals around a big table, an area for people to chat and have drinks from the honesty bar and Caroline was a wonderful hostess, ensuring everyone's comfort. I was pleasantly surprised by the toilet and shower facilities - basic but clever and clean (like the solar lights around camp and in the rooms). The game drives exceeded all expectations. There are 2 a day, sunrise and sunset, and for us the wildlife really put on a show and thanks to our guide, Jonny, we always seemed to be in the right spot for it! I reluctantly returned to real life, refreshed, in absolute awe of what we had seen and feeling lucky to have stayed here. It is a challenge to do justice to the sensational experience that my boyfriend and I were lucky enough to just have at Mosletha. I genuinely have no criticism, be that constructive or otherwise. 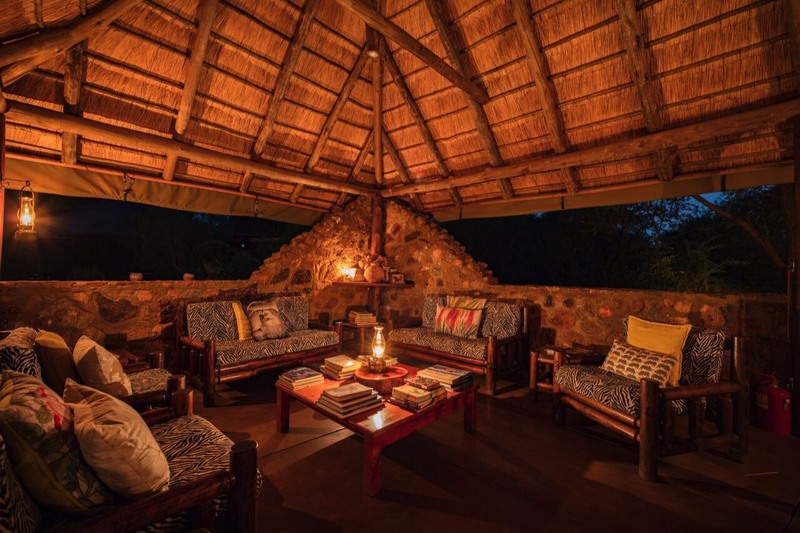 This camp is built with love, pride, integrity and despite being a bush camp, is replete with creature comforts including hot water, ample drinking water (that often invites friendly four legged creatures to visit), an extensive library of books, magazines and board games and hammocks from which to star gaze. The food was also incredible and I will forever remember the warmth and openness of the conversation around the gorgeous family table that seats all guests. The camp itself is lit up so beautifully at night, it's literally like walking into a fairytale. Jonny, our guide, can only be of the same stock as David Attenborough's team of camerafolk, but better. His beady eyes easily spotted chameleon in the thick of night with just a casual flick of a light, rhino hiding in the bush, a kudu carcass lying in the scrub and were not fooled by the often deceiving landscape. I learned more on those drives than in any formal science or biology lesson. No question was too absurd or too benign and his wit and sense of humour also made the drives most entertaining. With his guidance, perseverance and patience, he led us to the magnificent eight and breathtaking sightings of elephants and rhinos sharing water, lion cubs playing, leopards posing up a tree and a male lion making mince meat of a wildebeest. Words just fail. The vehicles themselves were comfy and sturdy, and despite being the only non-luxury lodge in the Park, Moseltha's Defenders have roofs which double as both shield from the African sun and more Irish like wind. There is no possibility of going hungry at Moslethla. Your tummy will be fed and your soul nurtured. The hospitality on offer is not that of a traditional camp/hotel, but that of a Mammy Bear welcoming home her cubs. Caroline is an absolute treasure and made us feel instantly at home. I cannot wait to return. Discounted rates for local South Africans. Your comfy accommodation, all meals and snacks, and two game drives a day. *Rates and conditions at time of are correct as at time of publishing but may be subject to change, please confirm rates and conditions with lodge when enquiring about availability.